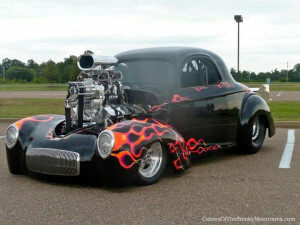 Twice per year, in both the Spring and the Fall, Pigeon Forge hosts a gathering of some of the most stylish hot rods in the nation. Whether you’re a dedicated enthusiast or just a casual admirer of performance cars, you can take advantage of the opportunity to gather with thousands of like minded aficionados in one of the biggest parties in Pigeon Forge. From hot-rod awards featuring thousands of dollars in cash prizes, to parades of incredible cars cruising through the downtown streets, the Pigeon Forge Rod Runs are meccas for exotic car fanatics of all stripes. 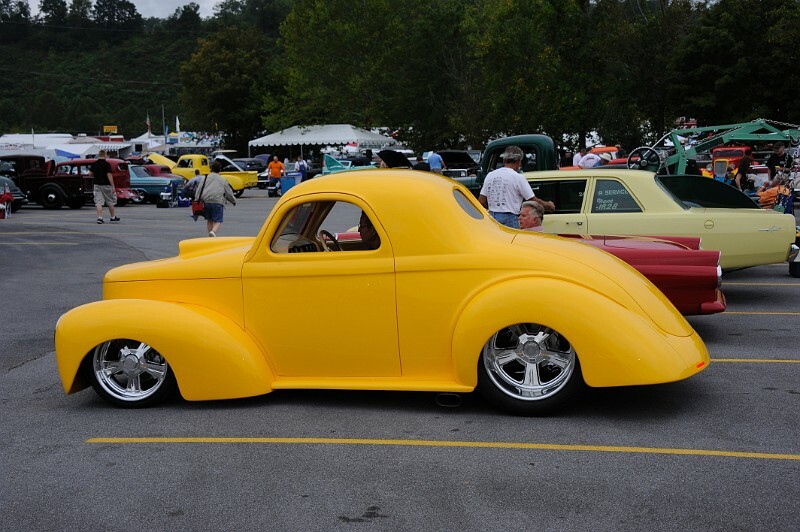 And if the Rod Runs haven’t quenched your excitement for growling motors, then you’ll definitely want to put the annual Shades of the Past Hot Rod Roundup on your Smoky Mountains schedule. This hugely popular event takes place every September in Pigeon Forge, on the grounds of Dollywood’s Splash Country. Shades of the Past is the place to see some of the coolest custom classics from 1972 and before, because what’s more American than great cars and nostalgia? 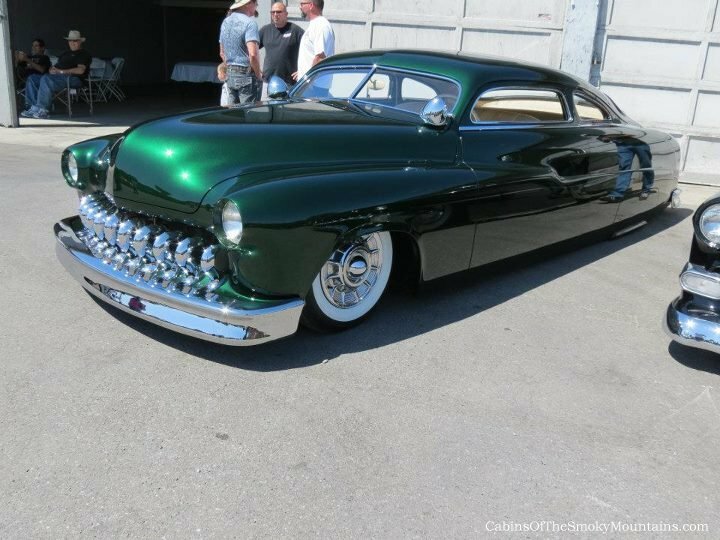 Numerous awards will be given out for the most eye-popping and high-performance hot rods, and there will be a swap-meet and a host of vendors on hand so you can find that elusive auto part, or simply round out your collection of memorabilia. The Shades of the Past Hot Rod Roundup is just one more reason why the Smoky Mountains are a gearhead’s paradise! You can’t talk about high-performance American sports cars without discussing the Corvette, and every spring and fall in Sevierville thousands gather to pay homage to this standard-bearer of Detroit performance. The Corvette Expo has been going strong for over 40 years, and it has grown to include more than 500 distinctive cars for you to examine, as well over 100 vendors of all things related. Regular features of the Corvette Expo include the Corvette Cruise, consignment auctions, and a swap meet. Whether you own a fleet of vintage models or simply appreciate the beauty and power of this American classic, the Corvette Expo in Sevierville will have you dreaming about ‘Vettes long after the show. These hallmark events only scratch the surface of the exotic car action that takes place in the Smoky Mountains region. If you always imagined yourself in the shoes of Bo and Luke Duke, speeding away from Boss Hog, then you have to visit Dukes of Hazard museum Cooter’s Place in Gatlinburg. 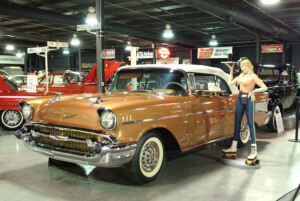 Meanwhile, Floyd Garret’s Muscle Car Museum in Sevierville offers an up-close and personal look at some of the finest American cars from the mid-20th century. Floyd Garret is a muscle car expert who is often on the floor of the museum to answer questions and chat with interested guests. TIP: If you’re staying with Cabins of The Smoky Mountains, you’ll receive a free ticket to Garrett’s museum as part of our Trip Cash gift – check out the offerings worth over $400 in our Gatlinburg coupons page and also our Pigeon Forge coupons page. Also, pop culture buffs will be right at home at the Hollywood Star Cars Museum in Gatlinburg, featuring landmark vehicles such as the DeLorean from Back to the Future and the original Batmobile from the Batman TV series.